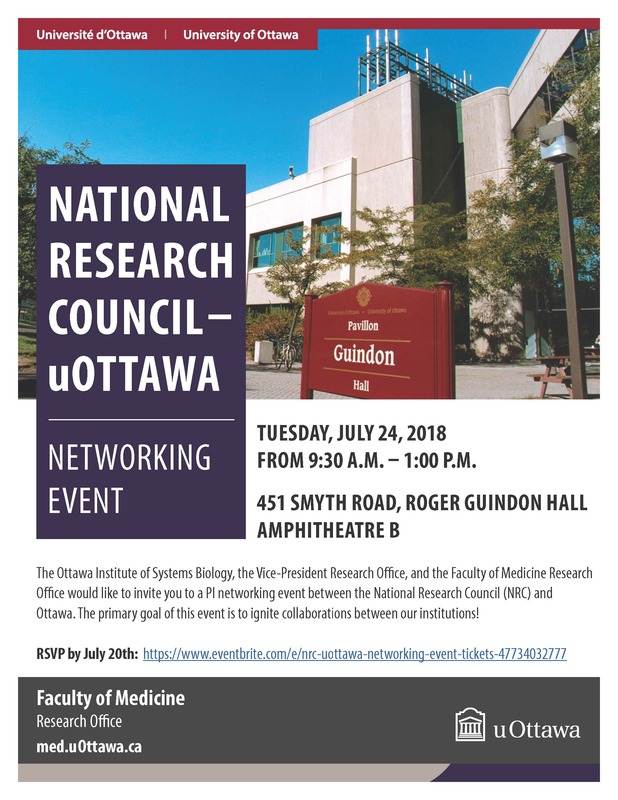 The Ottawa Institute of Systems Biology, the Vice-President Research Office, and the Faculty of Medicine Research Office would like to invite you to a networking event between uOttawa and the National Research Council (NRC). The primary goal of this event is to ignite collaborations between the two institutions- starting with this event! The event will consist of a short introduction of the research institutes, introduction of new funding opportunities for NRC-academia collaborations, followed by breakout round table discussions based on areas of mutual interest.